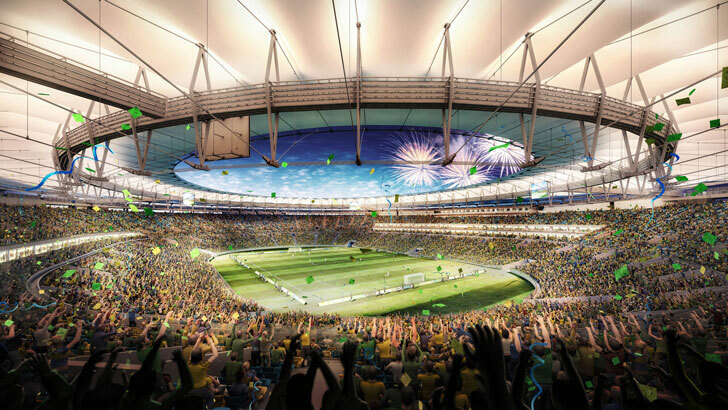 <a href="http://www.fernandes.arq.br/">Fernandes Arquitetos Associados</a> has formulated a brilliant design for the 2014 World Cup Final Stage Stadium that reuses the old <a href="http://en.wikipedia.org/wiki/Maracan%C3%A3_%28stadium%29">Estádio do Maracanã </a>without destroying the storied look of the facility. 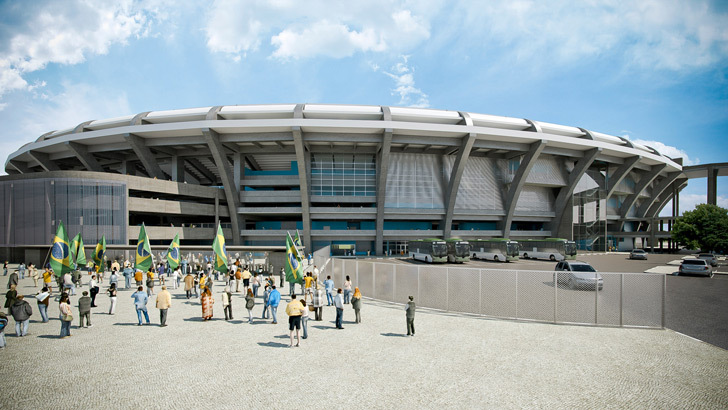 The old and new portions of the structure will work together to imagine an efficient reuse of the facility in order to save money and the precious infrastructure of Rio de Janeiro, <a href="https://inhabitat.com/index.php?s=brazil">Brazil</a>. 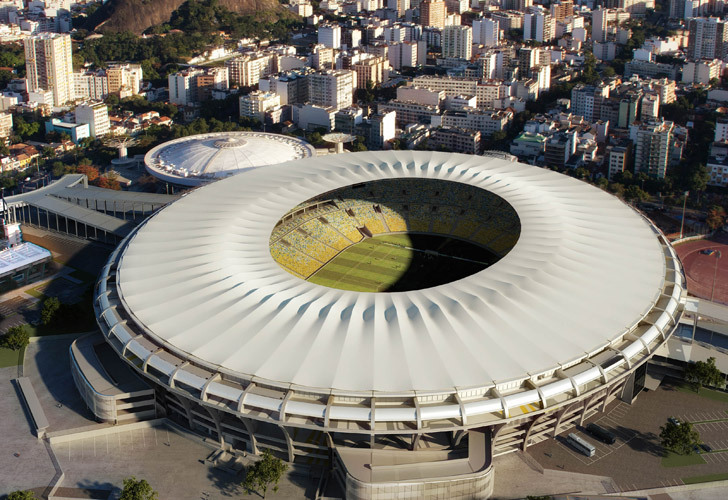 The stadium, originally named after journalist Mario Filho, has an impressive new structure revolving around one important feature; the roof. The new light gauge structured roof will sail above the audience’s head, providing space for new video screens and lights. The stadium's field isn't changing much as it was primarily the seating that needed to be renovated and moved closer to the action! 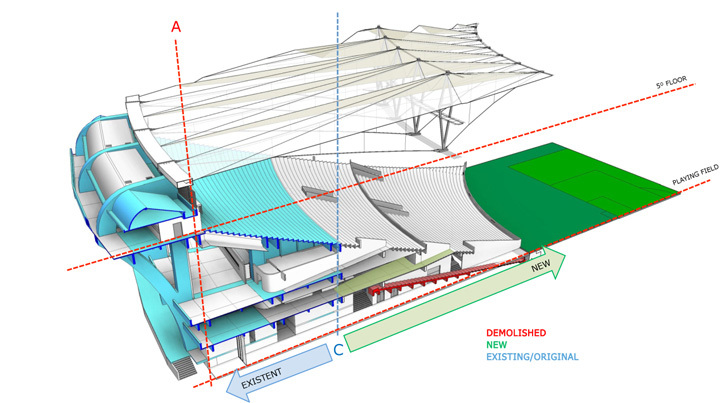 The roof will have no visual impact on the existing stadium’s facade due to its low profile. The roof plan, which is all new is seen here. 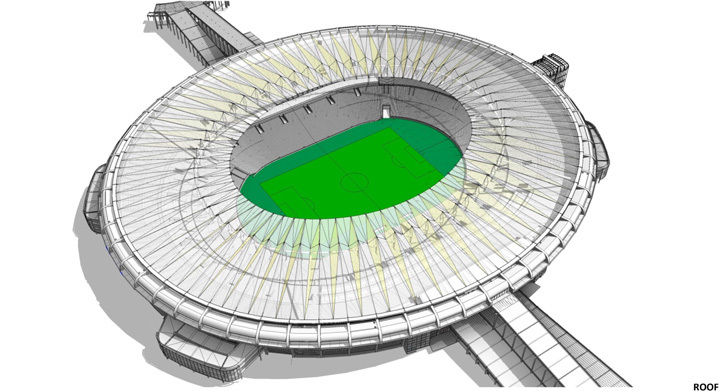 This diagrammatic sections helps to illustrate the construction of the new seating with the existing seating that will remain. 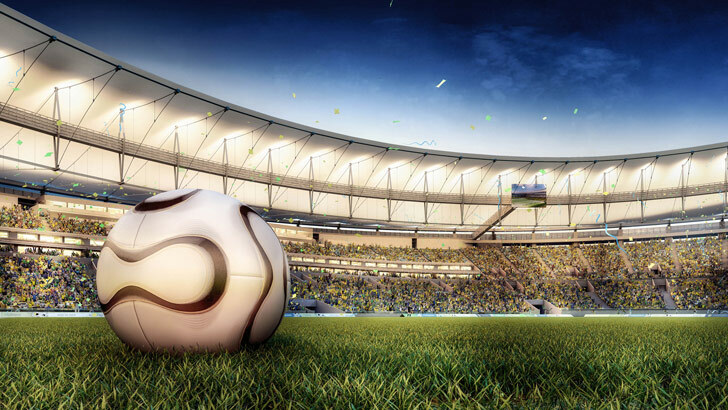 Fernandes Arquitetos Associados has formulated a brilliant design for the 2014 World Cup Final Stage Stadium that reuses the old Estádio do Maracanã without destroying the storied look of the facility. The old and new portions of the structure will work together to imagine an efficient reuse of the facility in order to save money and the precious infrastructure of Rio de Janeiro, Brazil.